With the next round of Measure Z projects, the Fresno Chaffee Zoo plans underway for new projects and improvements. Fresno Chaffee Zoo director Scott Barton talks about the new plans for the tiger compound, while Ciara Casellanoz, marketing manager, explains new additions for Africa Adventure, including a hippo and crocodile exhibit. 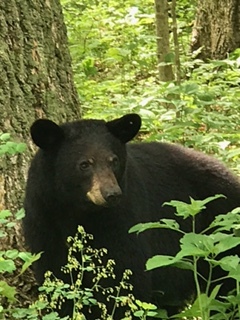 Perino & Stirewalt podcast: I’ll tell you what…Bear alert! In a wide ranging podcast Dana and Chris discuss the terror attack in Manchester, England, Melania Trump’s coming out party, the latest twists and turns in the American Health Care Act and bears. Plus, Chris answers your questions from the I’ll Tell You What mailbag. Author Feed EditorPosted on May 25, 2017 Categories Fox News, News FeedsLeave a comment on Perino & Stirewalt podcast: I’ll tell you what…Bear alert! Trump may have nothing to hide — so why is he acting like he does? Author Feed EditorPosted on May 23, 2017 Categories CNN, News FeedsLeave a comment on Trump may have nothing to hide — so why is he acting like he does?